Who really owns the theme park rights to the DC and Marvel comic characters? July 10, 2013, 5:56 PM · Yesterday's news about the production company behind "The Dark Knight" and "Man of Steel" movies moving to Universal got some theme park fans dreaming about the DC comic characters also making the move. Keep dreaming. As I explained yesterday, Legendary Pictures' move does nothing to change the ownership of those icons, which remain the property of Warner Bros. Let's take this opportunity to look at exactly who owns what when it comes to the legal rights to use some of the world's most popular comic characters in theme parks. Who owns the characters? Warner Bros.
Warner Bros. used to own the Six Flags theme parks, which corporate parent Time Warner sold to Premier Parks in 1998. As part of that deal, Time Warner also sold Premier (which then renamed itself "Six Flags") the long-term theme park rights to its comic and cartoon characters, including Batman, Superman and Bugs Bunny. Six Flags pays an annual royalty to Warner Bros. to continue using those characters, and must also obtain approval from Warner Bros. for each use of its characters. According to Six Flags' annual report, filed with the U.S. Securities and Exchange Commission, in 2011 (the latest year for which Six Flags has disclosed the figure), Six Flags paid Warner Bros. $3.3 million for its DC ad Looney Tunes license, in addition to an unspecified amount representing 12 percent of the in-park sales of merchandise using those characters. "We have the exclusive right on a long-term basis to theme park usage of the Warner Bros. and DC Comics animated characters throughout the United States (except for the Las Vegas metropolitan area), Canada, Mexico and certain other countries. In particular, our license agreements entitle us to use, subject to customary approval rights of Warner Bros. and, in limited circumstances, approval rights of certain third parties, all animated, cartoon and comic book characters that Warner Bros. and DC Comics have the right to license, including Batman, Superman, Bugs Bunny, Daffy Duck, Tweety Bird and Yosemite Sam, and include the right to sell merchandise using the characters. In addition, certain Hanna-Barbera characters including Yogi Bear, Scooby-Doo and The Flintstones are available for our use at certain of our theme parks. In addition to annual license fees, we are required to pay a royalty fee on merchandise manufactured by or for us and sold that uses the licensed characters. Warner Bros. and Hanna-Barbera have the right to terminate their license agreements under certain circumstances, including if any persons involved in the movie or television industries obtain control of us or, in the case of Warner Bros., upon a default under the Subordinated Indemnity Agreement." Hey, there's actually interesting stuff in there. 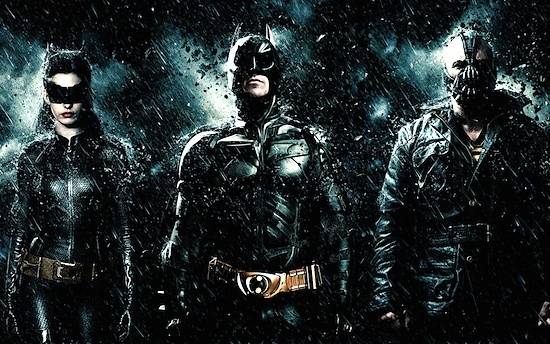 Most interesting, Warner Bros. has some ways to get out of the deal. Presumably, as in any contract, if Six Flags were to breach the contract by not paying its royalty or not obtaining or adhering to Warner Bros.' approval for use of the characters, Warner Bros. could terminate the deal. But the language above explicitly mentions two other ways that Warner Bros. could pull the license. But it's Warner Bros.' other way out of the deal that most affects Six Flags' future. Six Flags would lose the rights to use the DC and Looney Tunes characters if the amusement park chain were to be acquired by any other business in the movie or TV business. In other words, Disney or Universal. Warner Bros. doesn't want the theme park rights to its characters falling into the hands of a studio competitor without its approval. As Six Flags' annual report states, "This could deter certain parties from seeking to acquire us." If Disney or Universal wanted to buy Six Flags as an end run to get the theme park rights to Batman and Bugs, they couldn't do it. All they'd end up with would be a bunch of freshly unnamed, unthemed roller coasters and flat rides. That's a pretty substantial "poison pill" against a takeover, given that Disney and Universal are the number-one and number-three largest theme park operators in the world, by annual park attendance. Until that does happen, Six Flags owns these rights. 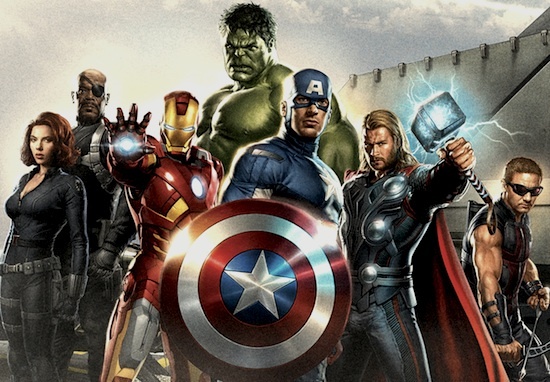 Disney bought Marvel Comics in 2009 for $4 billion. But years before, Marvel had sold the theme park rights to its characters to Universal Studios. Two years before Disney bought Marvel, Universal opted not to renew those theme park rights for the western half of the United States, and the Marvel characters left Universal Studios Hollywood in at the end of 2007. Universal retained the rights for the eastern United States, where it had built Marvel Super Hero Island in its Islands of Adventure theme park in Orlando, as well as for Japan, where Universal's Japanese development partner had built a clone of IOA's Amazing Adventures of Spider-Man ride in Osaka's Universal Studios Japan. (I've not found any public documents that reveal what Universal is paying Disney, or paid Marvel, for these rights.) The theme park rights for Japan are under a long-term deal, said to last into the 2020s, while the Orlando rights are in perpetuity, meaning that Disney never will be able to secure the rights to use its Marvel characters in Walt Disney World's theme parks until it can convince Universal to give up those rights. And in the business world, "convince" means to write a very large check or to fork over other capital assets that Universal would want more than to continue to be able to run Marvel Super Hero Island. Disney has the rights to bring Marvel characters to Disneyland, Hong Kong Disneyland and Disneyland Paris (or to any other company's theme parks outside the eastern US or Japan), but it can't do anything with those characters inside theme parks in the eastern US or Japan. That's why the Walt Disney World monorail wraps promoting Marvel movies had to stay on the Magic Kingdom line. The Epcot monorail line goes into that park, so if a Marvel character were depicted on those trains, Disney would be in breach of contract with Universal, and liable in what could be a nasty, expensive lawsuit. So unless you hear about another deal coming, don't get too caught up daydreaming about a Gotham Island at Universal or an Avengers ride at Disney's Hollywood Studios. Absent any making someone else an offer they can't refuse, the DC characters will remain in the Six Flags theme parks, and the Marvel characters at Universal Orlando, for years to come. July 10, 2013 at 6:11 PM · Well then... your just a party pooper.. lol jk.. thank you for clearing all that up. The owning rights in this day and age can be a bit confusing at times. I do have a question though... Could Universal just outbid Six Flags for the theme park rights? I mean lets look at the big picture, Universal has deeper pockets than Six Flags could ever dream of. July 10, 2013 at 6:15 PM · Robert Niles writes: "The Epcot monorail line does into that park, so if a Marvel character were depicted on those trains, Disney would be in breach of contract with Universal, and liable in what could be a nasty, expensive lawsuit." Robert Niles typos: "Hong King"
July 10, 2013 at 6:17 PM · It's not up for bid, though. Six Flags has a contract. Universal would need to offer Warner Bros. so much more than $3.3 million/year that Warner Bros. would in turn be inspired to make Six Flags an offer to buy out those rights that would be large enough that Six Flags would decide to accept. (That would be Universal paying Warner Bros. to pay Six Flags.) And Six Flags would have every right to say no, just as Universal would have every right to say no to Disney on the Marvel characters. July 10, 2013 at 6:29 PM · R. Niles ... I should hope so ... I just trademarked the name "Hong King" and have sold the attraction rights to Fun Spot ... But only on attractions east of 535. July 10, 2013 at 6:35 PM · Glad to see you wrote this very concise article. It gets real tiring to have to hear the DC & Marvel theme park what ifs on various forums. July 10, 2013 at 6:44 PM · Ultimately Universal's most valuable asset is the one they under use in Orlando. And that is their classic monsters...with exception to a counter service restaurant and a highly underrated demonstration show in the Studios Park. Perhaps re-facing the Hulk as Dr. Frankstein's Laboratory and a different Green Monster is born. Storm Force Escape from the Wolf Man? July 10, 2013 at 7:52 PM · Great article Robert!! And Robert morris, you're making me drool! I also have a crazy idea for a way to expand IOA to the partial of land between Cabana Bay and Royal Pacific that actual would fit for theme and rebrand Toon Lagoon at the same time. July 10, 2013 at 8:52 PM · Thanks for clearing all that up, Robert. We can dream though, can't we? It's a serious shame that Six Flags still holds on to those rights, because they are criminally underutilized on roller coasters and hastily-themed carnival rides. Plus, I want the best of both worlds: Superhero rides at Universal and Disney. That would be awesome. The NBC Sports Channel is doing horribly and will suffer even more with the upcoming launch of FOX Sports 1 AND 2. They must obtain more marque broadcast deals or remain an also ran outside of hockey and the Olympics. But, their all locked-p! The Golf Channel, owned by NBC Sports, is another also ran. It needs more marque events, but again their locked-up with competitors. Universal Pictures is about to release R.I.P.D. and tracking has it D.O.A. and a $225 million film, 47 Ronin, sits on their books, but they keep delaying it to avoid an inevitable write-off. They've abandoned the blockbuster, but their Legendary deal will get them back into it. But, UP needs better executive talent and a stronger development slate. Legendary can't do it all. Answer this... Have Universal and Disney ever done a rights and talent trade before? Using my hints above... How can Disney help Universal in more strategic areas without jeopardizing Disney, but at the same time still helping Disney? July 10, 2013 at 9:29 PM · I don't want anyone to think that these deals never could happen. Anything can happen in business if you throw enough money at it. But I do want all of us to be realistic and to understand exactly what needs to happen for these characters to move. July 10, 2013 at 9:49 PM · R. Morris just nailed a classic Universal Monster land! I'm 99.99% sure it would never happen, especially to replace the Marvel brand, but as a new land in a current or yet to be built park, I think his ideas have "win" written all over them. July 11, 2013 at 8:29 AM · Legendary moving to Universal makes it much much harder for DC Comics to go to Universal. The competitive conflict of interest will prevent Warner Bros from warming to the idea. I would think Universal have thought it through before accepting Legendary. Nonetheless, there is nothing to say things can't change 10 years down. Agreements change. The Legendary partnership with Universal can collapse, and Six Flags can further go down the toilet and cancel their agreement with Warner Bros.
July 11, 2013 at 8:29 AM · Since Disney owner of Marvel and The Wolverine is coming out On July 26th but by 20th Century Fox movies… I am wondering if Disney was involved with this movie or do they just get $$$ from the rights to Marvel since Wolverine is a Marvel comic character.. Sorry if I did not word this correctly..
July 11, 2013 at 9:06 AM · Fox owns the distribution rights to the Fantastic 4 and X-Men franchises, along with any spinoffs. However, Marvel gets a cut of the profits because it's thier property. So while Disney doesn't have to do any work for the upcoming "The Wolverine", they get a cut of the profits from Fox. July 11, 2013 at 9:25 AM · Thanks for writing the article, it's good to know who owns what, especially in Florida where my family and friends vacation as often as possible. I have one question however, if IOA wants to expand, or bring in a new ride, do they have to communicate their ideas with Disney, or can they proceed as they wish? Maybe I'm just confused, (highly possible), but the wording there, "Warner Bros. and DC Comics animated characters" leads me to believe comic book and/or computer or hand-drawn characters only, NOT live action representations. Or, is there no distinction between the two here? July 12, 2013 at 7:03 AM · To answer that, there would be no discernable difference between the live action and animated version of the characters. Batman is Batman, regardless of if it is the 60's TV show, the 80's comic, the 90's animated show, or from the the recent Nolan films. Thus, the rights for Batman cover all versions, and Six Flags has them. Also, from what I read in the contract, Universal can't expand the Marvel area without input from Marvel (aka Disney.) Since Disney is not about to say 'yeah, make another E-ticket attraction with our characters', the Marvel Superhero Island is probably not going to expand anytime soon. One thing here, Universal does have rights to 95% of Marvel characters, not all. They own the rights to the characters they use AND their families, which because everyone has been an Avenger means the vast majority of Marvel is under contract to Universal. Seriously, between having the Avengers, FF, and X-Men locked up, they have almost every character. But, if Disney wanted to do a ride based on a completely unrelated character to the families Universal has (like the old Malibu Comics characters) they probably could. Now, no one would know who the hell Prime was, but hey, they could probably do it and get away with it. July 12, 2013 at 10:24 AM · To the poster above a rights trade has been done before, Specifically between Universal and Disney. Universal traded the rights to Walt Disney's original creation of Oswald the Lucky Rabbit for the contract of sportscaster Al Michaels, who at the time was working at ABC sports. July 15, 2013 at 9:59 AM · Agreed, a trade has been done in the past. But, that particular trade was pretty different than anything being proposed here. Disney had no particular reason to keep Al Michaels' rights, they lost the NFL rights so it was either ship him to ESPN to do Monday Night Football, or get something for him. And NBC/Universal had no use for the Oswald rights, they were never using the character. It was in everyone's best interest. This is completely different. What, outside of heaps of cold hard cash, does Disney have to offer Universal to get the Marvel rights back? And why would they offer it, when they profit off of the exposure of their characters and merchandise all while not having to service the rides? Remember, the value here is exponentially more than Al Michaels, so Disney would have to offer something of substantially more value. What would that be, and why would they do it? Until I have the answer to those questions, I cannot see Disney acquiring the Marvel rights. Maybe sometime in the future, like 2030 or something, but not anytime soon. Report: Legendary Pictures moves to Universal - new theme park attractions next?